The IMS 1280-HR is a state of the art, large radius secondary ion microprobe, manufactured by CAMECA, France. The instrument has an O‾ or O²‾ primary source for positive secondary ions, and a Cs+ source for negative ions. 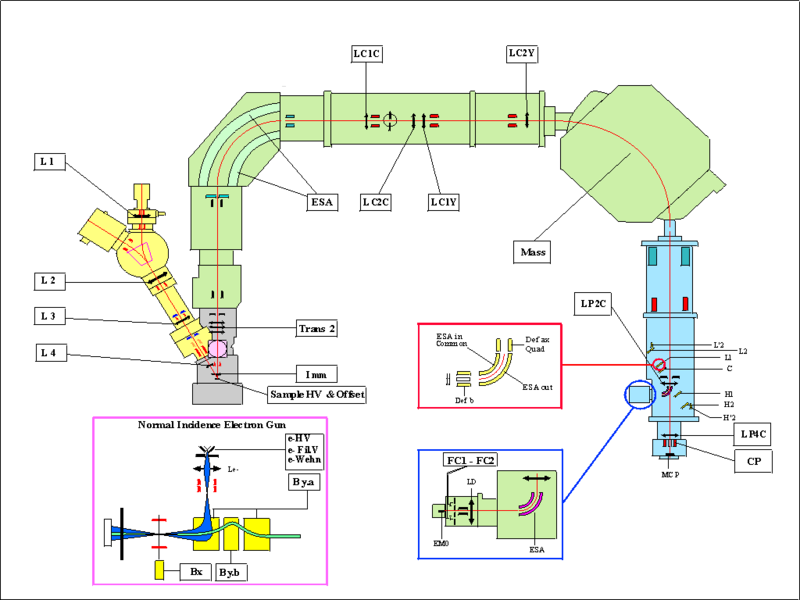 The impact of the primary beam results in sputtering of ions on the sample surface which are then accelerated through theinstrument as a secondary ion beam. This secondary ion beam is then magnified and injected into a double focusing mass spectrometer. Secondary ions are then collected by electron multipliers and/or Faraday cup detectors, either in monocollection or multicollection mode. Depth resolution: hundreds of nm.